Can community service ever be considered a funny thing? In the case of the PG rated, romantic comedy, The Resurrection of Gavin Stone, the answer is absolutely. The comedy of community service lightens the serious lessons of faith and forgiveness. Gavin Stone, a former child star is obligated to perform community service at a local mega-church where he pretends to be a Christian in order to be cast as Jesus in the annual Passion Play. Thank you to the public relations team for Universal Pictures home Entertainment for providing an advanced release copy of The Resurrection of Gavin Stone for promotional editorial content purposes. "If church can change him it will be a miracle." 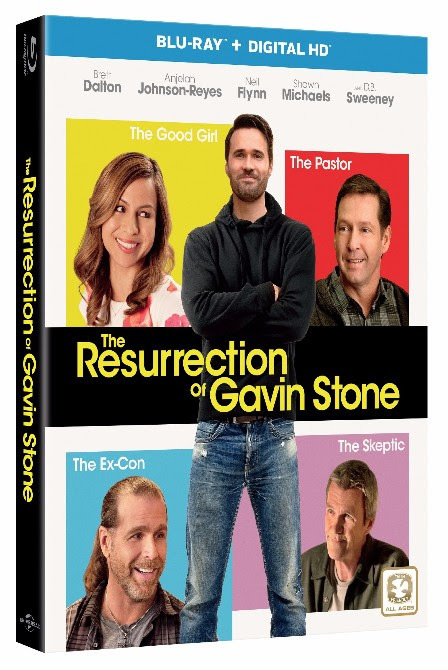 The Resurrection of Gavin Stone from Universal Pictures Home Entertainment stars the talents of Brett Dalton (Marvel’s “Agents of S.H.I.E.L.D.”), Neil Flynn (“Scrubs,” “The Middle”), D.B. Sweeney (“Two and a Half Men,”), Comedienne and YouTube sensation Anjelah Johnson (Mom’s Night Out) and WWE Legend Shawn Michaels in his feature film debut. 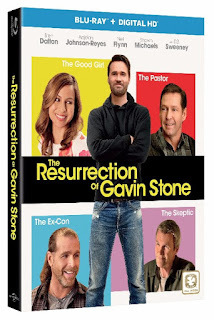 Available now, The Resurrection of Gavin Stone can be purchased on Blu-rayTM Combo Pack, DVD and Digital HD, packed with bonus features, including cast interviews with Pastor James MacDonald and hilarious deleted scenes. Take a peek at more information at ResurrectionofGavinStoneMovie.com, on Facebook, and Get a Copy Today!